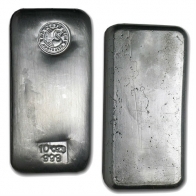 Buy Perth Mint silver bars, including 1 Kg, 10 Ounce and 1 Ounce silver bars. 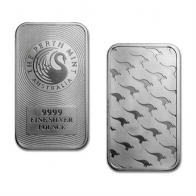 1 Ounce Perth Mint silver bars come minted, with a repeating Kangaroo design on the reverse of the bar. 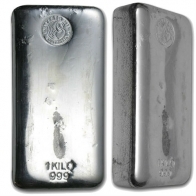 The 10 Oz and 1 KG Perth mint silver bars are casted. Perth Mint silver bullion is available for VAT-free Swiss storage or delivery worldwide.